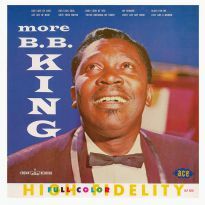 The complete, classic King recordings of the late 40s/early 50s by one of the major names in post-WWII blues shouting. 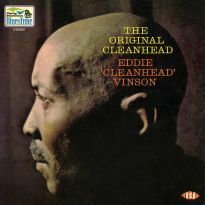 He had no hair, but blues fans don't care - Eddie Cleanhead" Vinson was revered as R&B royalty-on-record for nearly 45 years. 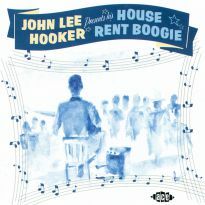 His dual reputations as a first rank blues shouter (or should that perhaps be "blues squealer"!) 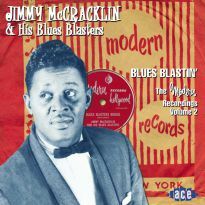 and admired saxophonist remain intact nearly two decades after his passing, and this month it's Ace's pleasure to devote a whole CD to 26 of his most noteworthy recordings, from what is a (happily) extensive back catalogue. 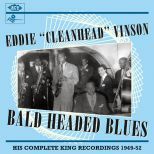 BALD HEADED BLUES marks the first time that all 25 of Vinson's King masters have been collected together in the same CD package - legally or otherwise. 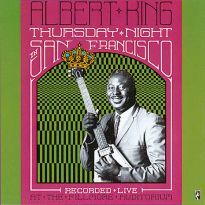 Added echo or stereo reprocessing has marred all previous vinyl issues of the earliest King sides. 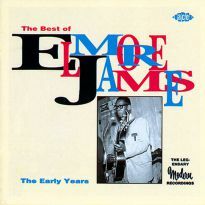 However, Ace's attention to detail gives you the chance to hear them as they sounded on the original 78s (with the exception of Eddie's Bounce and the previously unissued Sittin On It All The Time, which have been lifted straight from the once-believed-lost session acetate). 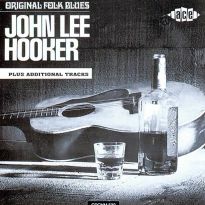 All post-1950 sessions come to you straight from the original tapes. You can believe me when I tell you that they have never sounded so good as they do here. 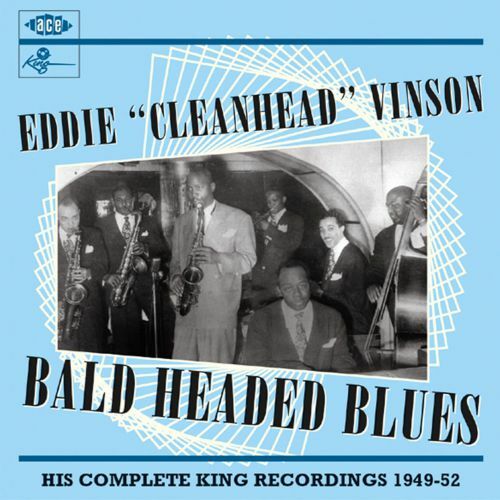 "Cleanhead"'s reputation was already in place when he signed to King in 1948, thanks to his lengthy spell with jazz giant Cootie Williams' Orchestra and some stellar Mercury sides, under his own name, that marked him out as a budding blues superstar. 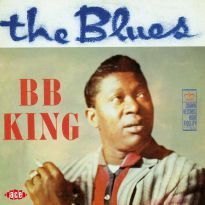 Even so, there's no question that his six King sessions, over the next three years, added considerable weight to that reputation. Indeed, with hindsight they might well be the sessions that best represent his near-50 year career. 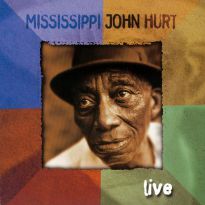 Their breadth of repertoire ranges from new explorations of his all-time classics Cherry Red and Kidney Stew - in Somebody Done Stole My Cherry Red and Rice And Peas respectively - to the bootin' R&B of Good Bread Alley. 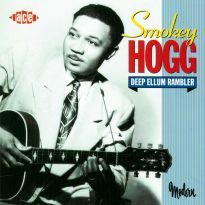 The near-be bop instrumentals Eddie's Bounce and Jump And Grunt (the latter a showcase for the keyboard wizardy, and accompanying snorts, of the great Milt Buckner) offer a compelling counterpoint to the ghettoisms of Home Boy, surely the first recording to use this Ebonic term, more than three decades before it became indelibly a part of hip hop jargon. 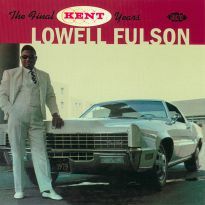 And talking of counterpoints, can there be any two more apposite poles of rhythm & blues than Vinson's earnestly-crooned version of the MOR standard Time After Time and the lascivious double-entendre diatribe that is the original version of Sittin' On It, later cut with great success by Vinson's King label-mate Wynonie Harris? 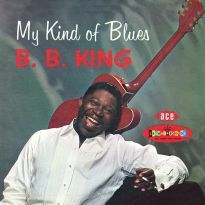 All this and more is here for you to savour, including the first version of another instant blues standard Person To Person, heard here in two quite different takes. 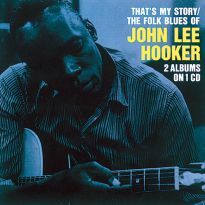 If this CD's not a "must have" for all R&B and blues fans, then I'd like to know what is. An all-encompassing Eddie Vinson King CD package has been a long time coming, but it's finally arrived and for that we should all be very grateful indeed. 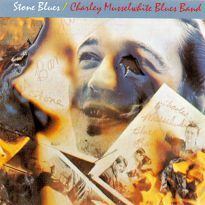 BALD HEADED BLUES is a first-rate documentation of the era when blues was evolving into R&B and, eventually, the music's upstart little brother rock'n'roll. 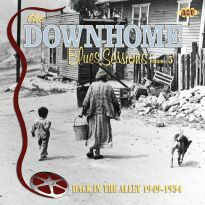 Grab yourself a big bowlful of Rice And Peas and a bottle of Wineola, and take the Lonesome Train to Good Bread Alley 'cos it's time to Jump and Grunt with the King of Blues Squealing, Mr Eddie Vinson."